As mentioned in the product description, this BlackBerry app works by running a small invisible program on your PC and transmitting the video to your BlackBerry in real time over Wi-Fi. Before the BlackBerry app will do anything, you need to install the corresponding application on your Windows PC. 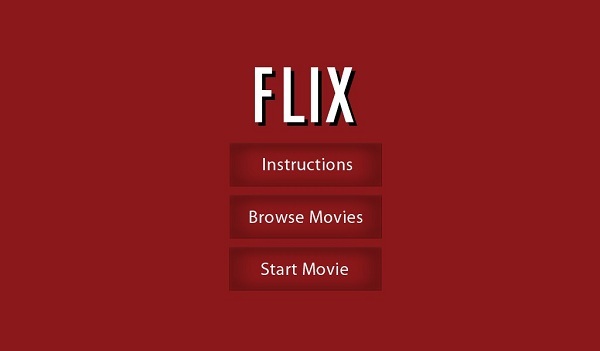 Once the Windows app is installed on your computer, open the Flix app on your BlackBerry. 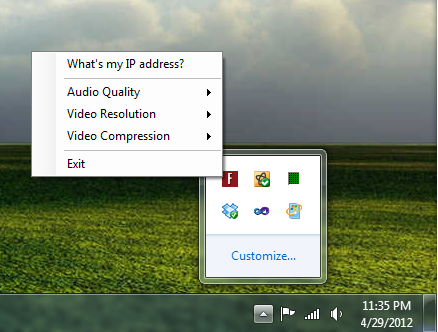 The app will automatically attempt to find your PC and connect. If all goes well, you should see a screen with two buttons: "Instructions" and "Browse Movies". If so, you can skip the next section. If the BlackBerry app is not able to automatically find your computer, please see the Help page. I have released a free helper app named Flix Movie Selector which makes the process of choosing a movie to watch much easier, and replaces the built-in "Browse Movies" button in the Flix app itself. If you haven't already, download the "Flix Movie Selector" app from App World on your BlackBerry. Here are instructions for using the app to choose a movie or TV show to watch. Once RIM provides support for integrating the web browser directly into apps written using their Native Development Kit, this helper app will become superfluous. 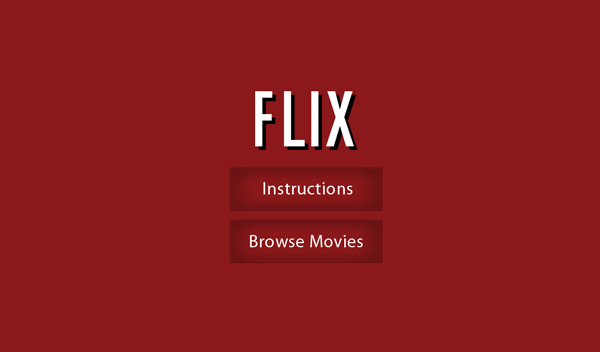 For the sake of reference, here are the instructions for selecting a movie using the "Browse Movies" button in the Flix app itself. Simply touch the "Start Movie" button to begin playback. The screen should change to say "Buffering 10 seconds of video..." and start playback momentarily. Connection Issues: The BlackBerry isn't able to connect to your PC. No Video / Black Screen on BlackBerry: You hear audio but don't see video. Audio is Pure Static: You may hear the audio ever so slightly, but it is obscured by loud static. After watching a movie, the PC's audio doesn't come out of the computer's speakers. If you have any of these issues, the good news is that they are typically easy to fix. Please see the Help page. If you are finding the volume controls lag, or if using the volume controls introduces static into the audio, an update to the BlackBerry app submitted on May 18 (version 12.0) fixes this issue. If you don't already have an Xbox or other device for watching Netflix movies on your HDTV, this app can be used to do just that. You'll need a micro HDMI cable.